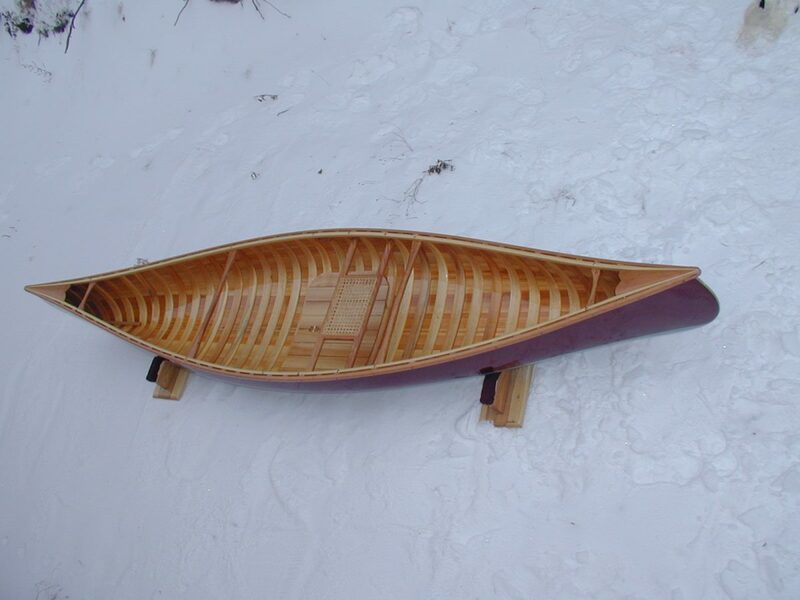 13' American Beauty - Northwoods Canoe Co. 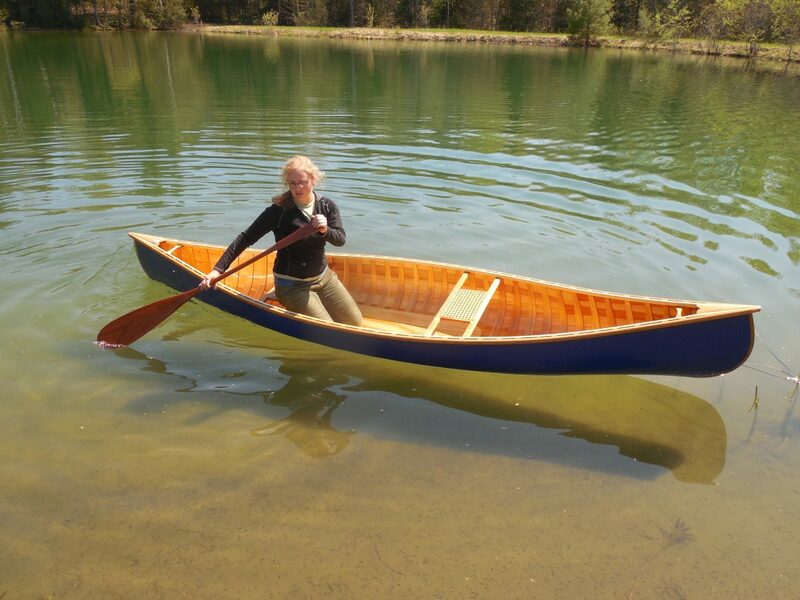 I designed the American Beauty to be a smaller scaled down version of the popular 17½ foot Atkinson Traveler. 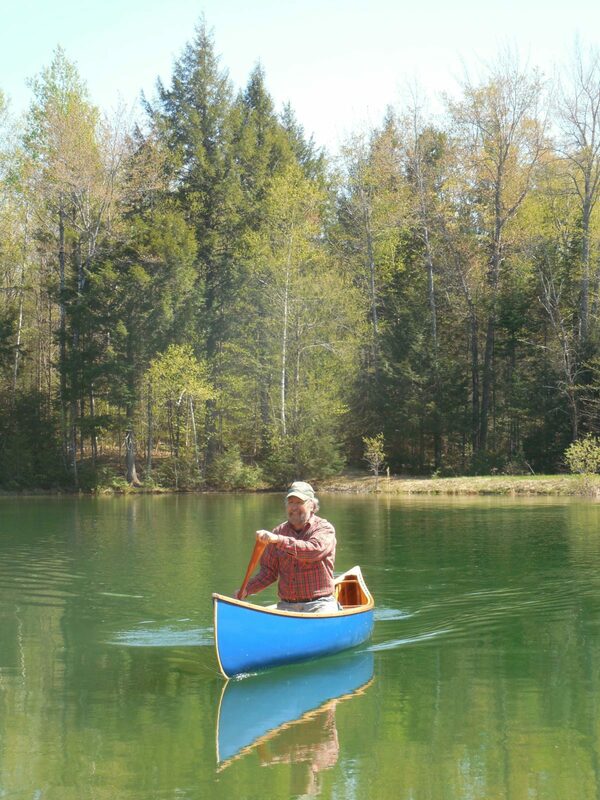 In keeping with its Maine Guide canoe lineage, the Beauty is an excellent solo canoe. It tracks very well, yet its modest rocker and short length ensure easy maneuverability. Designed primarily as a solo tripper. . Its light weight and ease of carrying make it an excellent canoe without the extra size and weight of the traditional Traveler model. My personal A.B. 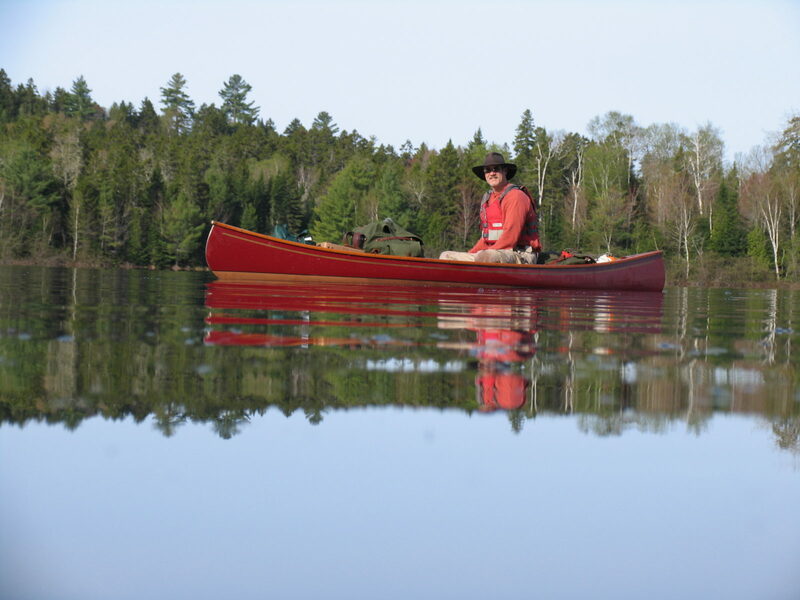 has been paddled solo down the wilderness Allagash River, going through Class III rapids, fully loaded. 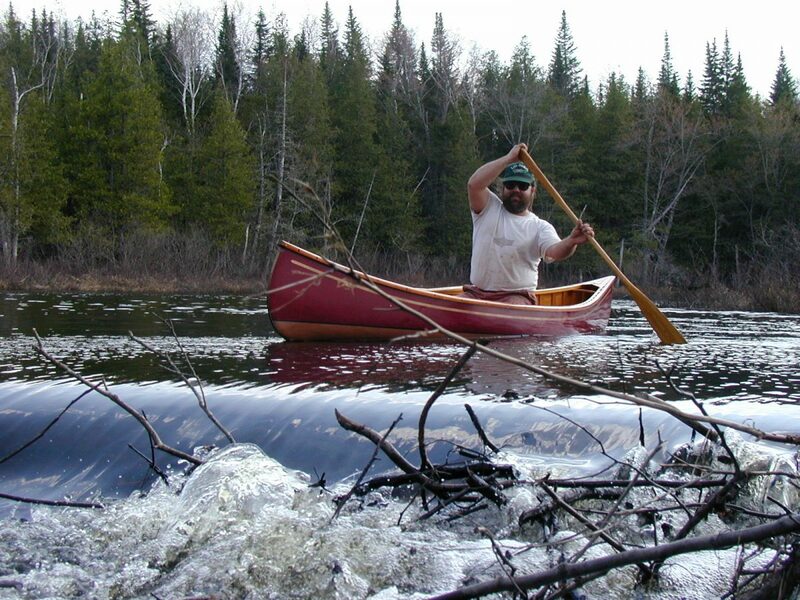 While I would not recommend running Class III rapids with the Beauty, it’s nice to know it’s possible! There are several popular options for the American Beauty. 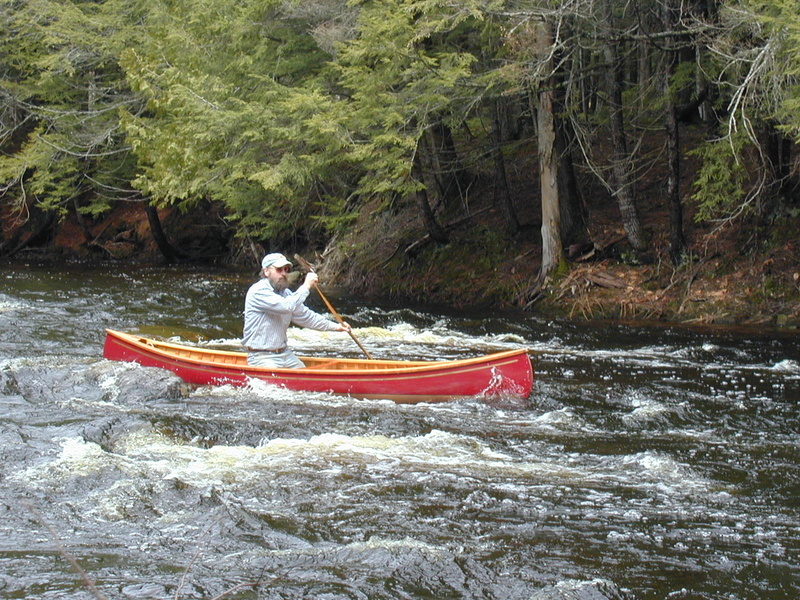 In this kind of smaller boat, often the paddler will want to kneel for extra stability. 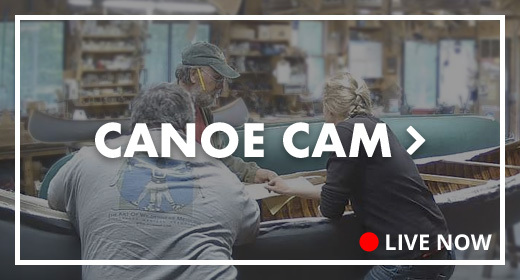 Kneeling on a light-weight floor rack is much more comfortable than kneeling on the canoe’s ribs. Due to possible seat/thwart placements, a permanent center thwart may not be possible. 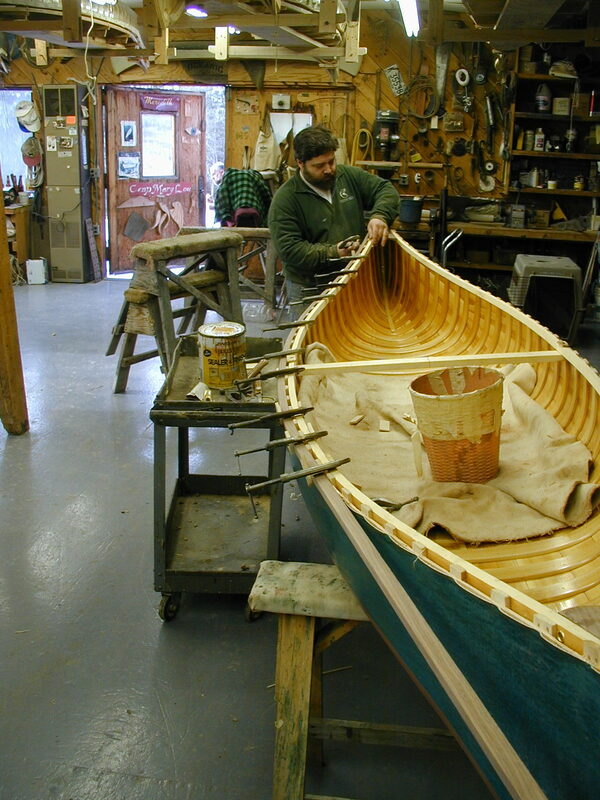 As the center thwart is very handy for portaging the canoe. a removable carry thwart can be designed for the boat if one is needed.